Thalia was laid to rest today. I never met her, but I was there at the end of her short life. I’d just finished having lunch with my cousin in between job interviews. I was preparing for my next interview. Talking myself up, getting myself in to boss lady mode. I was totally absorbed in myself and what I was doing. I wasn’t paying much attention to my surrounds. I didn’t think I had to. Someone knocked my handbag off my shoulder, in hindsight I see that he was just trying to get out of the way, but at the time I thought someone was trying to steal my handbag. It was then that I looked over my shoulder to see the car on the footpath just behind me. I don’t know how, but I my body moved me out of the way. I don’t remember making a conscious decision to move. I just ran and jumped into the lane. I wish I had made a noise, I wish I had a way to alert all the people ahead of me. My silent escape from harm’s way did nothing. I was just lucky that someone knocked me. I wouldn’t have made it out of the way in time if he hadn’t. The car was going too fast. I watched in horror as the car hit the family in front of me. Two little girls and their mum. He didn’t stop. He never slowed. He didn’t hesitate. He just kept going. He kept hitting people. In the hysteria I couldn’t tell if people were getting hit or if they were just getting out of the way. After he was gone the scene was just as awful. People everywhere bodies strewn across the footpath. A little girl. Rogue runners and purses. The police were there pretty fast. They were fantastic. They kept us as calm as they could under the circumstances. My real life superhero appeared shortly after. Her name is Jo. Jo was incredible. She works at the RACV club. She came bearing first aid kits and water. She looked after me. She helped me call Mum and my boyfriend. Cuddled me when I needed it most and took me away from the scene when she could. I can’t tell you how much she helped me that day. She represented all that was good in a scene so abhorrent. The police needed a statement. She came with me. She held my hand while we walked down the street. Walking past that little body was just awful. Thalia. I think about it all the time. I don’t know what else to say really. I don’t know how to deal with this. I think I’m doing okay. I mean I’m not okay – but I will be. I think about it all the time. It makes me cry often. Night time is hard. Sleeping even harder. My heart feels so so broken. I can’t imagine what everyone else feels like. I think we can be proud of the everyday heroes who appeared that day in the madness. I witnessed quite a few. To Jo, to Patrick for just making everything happen, to Kate who met me at the police station, to Laura for picking me up, to the Police, to mum for just being mum – hearing her voice made me feel better. The lovely ladies who kept me company that night. I can’t ever express just how grateful I am. Tell me your dreams – and see how we can make them come true. What occupies the deepest darkest corners of your mind? This entry was posted in Uncategorized and tagged friends, Friendship, Love, love letter, love life, poem, poetry, writer. Day Two: Meditation adds so much to my life. I feel more present and less stressed. Today I did a guided meditation via the Hay House Meditation podcast. Davidji – Stepping into Clarity – it was quite energising and a great way to break up a busy day of work. I then sat down to a healthy whole food lunch which I ate on my own in silence – really taking the time to appreciate each bite. Day Three: Journaling is such a wonderful practice. So many thoughts are bouncing around my mind all the time. Problems become bigger – worry increases. Once you take the time to write it all out and organise your thoughts on paper slowly and purposely they seem to become much smaller and more manageable. From this place you can create your own action steps in to solving these tiny little “problems” by making little action lists. Day Four: I love to hoop! For those of you not yet aware – I’ve taken up hula hooping! I love the element of play. I can hoop and hoop for hours on my own – practicing new tricks and transition. I went with one of my friends to buy her first hoop and get something a little lighter and smaller for myself. We then made our way over to Abbotsford Convent and hooped our little hearts out and finished the day with a delicious Lentil As Anything feast. Good hoops – good food – great company. Today was a great day. Day Five: Podcasting like a boss again! I’ve been reading the minimalists blog for a long time now – it’s definitely something I get a lot of value out of and now they’ve started podcasting too. I’d been missing a few episodes here and there so today I spent some time catching up on the ones I missed out on. Day Six: Yet another HOOP DAY! Today I dedicated to learning a new trick – and then took my hoops to a party for the first time. I didn’t really know many people there so it was nice to have something to play with in between meeting new people and making new friends. I took three hoops with me and everyone had a go. Loads of fun! Day Seven: I love to cook – but haven’t been doing much of it recently. Today I made a delicious dinner with a friend. Good food + good company = happy wanderluster. Day Eight: Life Admin day – seems boring (and it was) but I’m now organised! All those little things that I’ve been putting off finally got done! I took to each task with gratitude and really just got it all done. Day Nine: I hadn’t caught up with one of my best friends in a little while. We keep pretty different schedules. Today we finally got the chance to catch up and had a gorgeous healthy dinner together. There really is nothing better than sharing a meal with someone you love (especially when they’re as good a cook as Miss Katie). Day Ten: It’s been a bit harder than I expected this little month of love challenge. Changing my focus back to me and my wants and needs has been pretty tough. I’ve been very emotional and today I let myself have a big ol’ cry. I really needed it. I tend to keep myself pretty busy and expect a lot of myself. Today I just let myself feel all those emotions. Hope you’ve all been loving yourselves too. This entry was posted in Uncategorized and tagged Bliss, challenge, Health & Beauty, Love, love advice, love life, love yourself, lovers, Relationships, self care, self development, self help, self love, self worth, wellness. It’s only 18 days until I leave lovely overcast ridiculous London to go back to Australia – and I’m not ready. It doesn’t feel like I’m leaving. My visa is coming to an end and I failed to find a way to extend it. London feels like home now and with only a few short days left reality is starting to set in. My heart is breaking for having to leave all my friends and this city that I love. I want to stay and play and explore some more in this part of the world. I guess we can’t always get what we want. Time for the next adventure. This entry was posted in Uncategorized and tagged adventure, europe, Home, London, travel, wanderlust. We’re afraid of the things we do, of the things we don’t, the way we feel, the endless things that could happen and the things that are out of our control. We’re afraid of our potential failures and we’re afraid of our own success, we’re afraid of the unknown. We all feel it – albeit some more deeply than others. But too often we let our fears control us and hold us back from all the wonderful things we could be and do. I’d be lying if I said I wasn’t afraid. But I won’t let my fears control me and stop me from doing all that I want to be and do and feel. I could be afraid of leaving London – but I won’t let that ruin my last few weeks here. I’m diving in to everything head first and experiencing all that I can. I could be afraid that I’ll never see some of the wonderful friends I’ve made here again – but I the time we’ve spent together here has been incredible. This has been one of the greatest times of my life and I owe that largely to the wonderful people I’ve met and I wouldn’t change it for the world. I now find myself appreciating every adventure and every giggle shared over every coffee, wine and dinner. 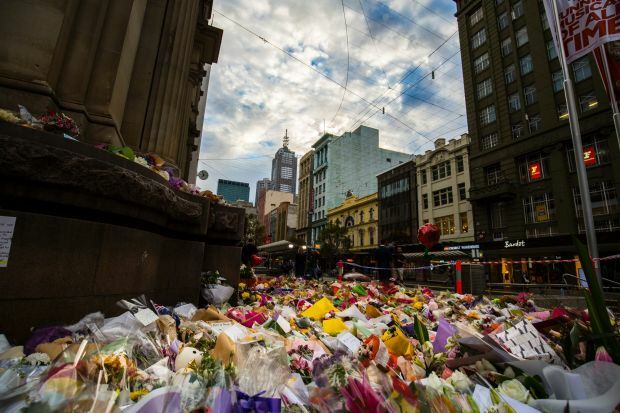 I could be afraid going back to Melbourne – terrified that everything will have changed – or that everything will be the same. I could be afraid that I won’t fit in like I once had. I know I’m different now – i’ve changed since I was last there. But I’m excited – it’s a new adventure – and I feel like a new person. I know myself even better – I’m more in tune with myself, I’m looking forward to rediscovering the city with fresh eyes and new faces amongst the old. I’m excited for old friends on new paths – and new friends yet undiscovered. I could be terrified of not knowing what’s next. I’m launching a new business when I get back to Melbourne – but i don’t know if I want to stay there. I don’t know how i feel about all of this yet. 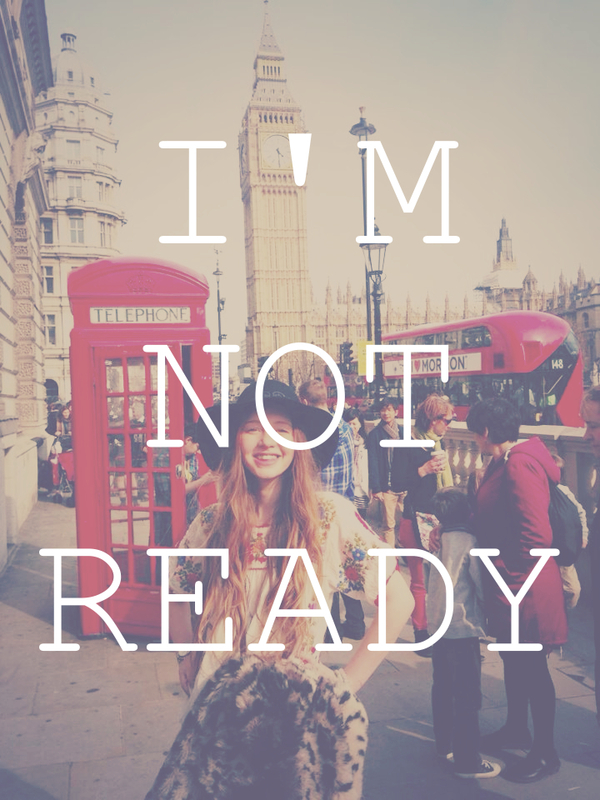 But I’m not afraid. I’m excited for the next adventure. I’m enthralled at being able to put myself in a new sink or swim situation knowing that I’m now a strong swimmer and can handle anything this wild ocean of life throws at me. This entry was posted in Uncategorized and tagged adventure, fear, fearless, London, melbourne, self development, travel, wanderlust.